Since the publication of the Clean Energy for All Europeans package on the 30th of November 2016, a vivid public debate can be witnessed with stakeholders giving a lot of input on these important legislative proposals, which would deeply transform the electricity market in Europe. Central Europe Energy Partners, representing energy and energy intensive sectors across Central Europe, would like to take an active part in this discussion, as we consider that the transition into low-emission economy requires profound decisions that will take into account the specific positions and starting point of all EU Member States, notably the from Central Europe region. CEEP welcomes the publication of the Clean Energy package and would like to emphasize its gratitude to the European Commission for the tremendous work it has been doing in the recent years. We agree with the general goals of the package, which promotes market approach with focus on empowering customers, prioritizing energy efficiency and making the national markets more integrated. Furthermore, we consider the Commission’s focus on importance of regional cooperation as a positive factor. We highlight however that the rapid economic growth necessary to catch up with the EU’s average GDP remains the priority for the most of Central European countries. Having said that, we have to regrettably admit that not all provisions included in the package fit our needs. In this paper, we would like to present our position on the Energy Market Regulation proposal (EMR), Energy Market Directive proposal (EMD) and the new Renewables Directive proposal (RED II). According to Article 194 (2) of the Treaty on Functioning of the European Union (TFEU), any measure adopted by the EU shall not affect Member State’s right to determine the conditions of exploiting its energy resources, its choice between different energy sources and general structure of energy supply. In this context, we assume that the development of the electricity generation in Europe should continue to be based on indigenous sources (including renewable energy) of energy and to the least possible extent rely on external suppliers, which would result in increase of import dependency. Thus, this model provides incentives for jobs creation within the EU as well as improves the security of supply. Interference in the Treaty-based right to determine the energy mix, especially in terms of eligibility of various power sources to take part in capacity mechanisms may have a chilling effect on attempts of national authorities to ensure security of supplies and may result in power shortages. We highlight that the primary principle of the legislation related to the electricity market shall be technology neutrality, which implies a free, market based choice of energy sources to achieve the expected economic goals. Unfortunately, certain provisions of the proposed legislation violate this principle, notably by introducing Emission Performance Standards (EPS) into the capacity markets provisions. In CEEP's opinion they should be removed. CEEP supports a fair transition to low-carbon economy. The starting point of this process should be acknowledgement of different positions of the Member States, including their energy-mix, and respecting their right to choose the different ways leading to the final goal (for example use of efficient co-generation or carbon capture and storage technologies). In this context, we would like to remind that the ‘Clean Energy’ package should be a tool ensuring modernization and proper functioning of European electricity markets. The climate policy objectives are predominantly implemented through the EU Emissions Trading System directive. CEEP praises the legally binding confirmation of the principle of participation in the energy market on equal footing for producers and units responsible for storage and demand response services as it is provided by the EMR. In this context, the long-term contracts should be maintained, as they provide the necessary incentives for investments and long-term predictability. Member States shall have the right to determine how much they should invest into their energy systems to produce enough electricity for their economies in the most cost-effective way, which type of power generation and the level of national grid and interconnections development they would perceive as appropriate. Also, in regard to all market players from Member States and third countries, the same principle of “no less, no more requirements” should be applied and respected. National energy policy should lead to the fulfilment of the EU targets and be at the discretion of each Member State on how it can be achieved. The answer to these questions should be the responsibility of each Member State. CEEP fully supports the approach where energy consumers are in the centre of the market. with the right to choose and switch suppliers, use smart metering, but also to be properly informed about market regulations. We underline the need to make electricity bills more transparent, simple and understandable for a wide range of society. 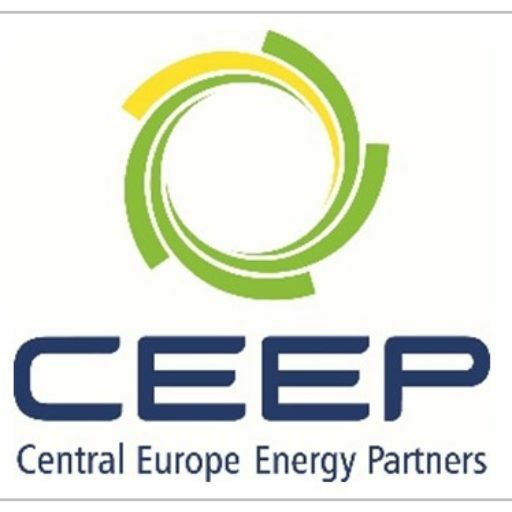 CEEP welcomes these efforts as they can contribute to minimising energy poverty, which constitutes a real and widespread challenge in the Central Europe region. However, energy poverty issues should not be incorporated in the market model legislation itself in a way that they will create an eligible subgroup of customers, supplying of whom can directly affect operational planning, re-planning and balancing responsibilities. Energy prices constitute a significant factor for competitiveness and, therefore, economic growth, which is of utmost importance for the lower income economy countries of Central Europe. Thus, CEEP is in favour of the possible elimination of regulated prices since we expect that it could boost competition among the suppliers as it is provided by the EMD. Dynamic price contracts could bring benefits both to the consumers and suppliers having regarded that the former would be well informed and the latter would have the obligation to supply the contracted energy. Flexible pricing can also bring rational approach towards use of energy. Also, the possibility of regulating flexible distribution tariffs providing different pricing for distribution services depending on time of delivery at the EU-level should be taken into account, as it would contribute to reaching objectives of common interests, such as the security of supply and energy efficiency. We highlight that fulfilment of these aims is dependent on both technical and regulatory factors. Regarding the former, we believe that regulatory environment should guarantee tariff systems liberalisation and provide the required flexibility in network fees billing. Regarding the latter, we advocate utilising modern technologies, through incremental application of fit-for-purpose smart systems, meteo and hydro automated stations, radars and satellite imaging for the purpose of “nowcasting", systems for efficient and reliable data exchange, data storage in adequate warehouses and services in data mining for analyses, forecasting tools and operative decision support, etc. A necessary prerequisite for dynamic price formation is the strengthening of cross-border interconnections between price zones which directly affect liquidity necessary for short term optimisation, flexible operation of power system in general as well as social welfare maximisation. Security of supply is of utmost importance not only for Member States but also for the end customers (companies as well as individual customers). To be sure that adequate supplies are provided, the minimum level of dependence on indigenous energy sources should be reinstated in the EMD. Taking into consideration regional power shortages that occurred in recent years in Central Europe, relying solely on interconnectors is clearly not sufficient. We fully support enhanced cooperation between different TSOs, however we do not share the view of the Commission that establishment of ROCs is a suitable measure to guarantee this. Taking into account the current development of electricity markets in Europe, the delegation of the competencies to ROCs is unjustified. Limiting the role of national TSOs by splitting the decision-making in power system operation in different timeframes between TSOs and ROCs will lead to conflicting responsibilities and cause operational security threats. TSOs will still have to bear the responsibility of any operational decision, however their ability to take these decisions will be limited by binding powers conferred to ROC. We also consider that the distinction between before real time operations and real time operations which is introduced by the establishment of ROCs is artificial. It should be underlined that in the current state of development of the electricity markets in Europe the regional coordination of TSOs in the form of Regional Security Coordinators as service providers, which is now mandated through EU legislation in the SO Guidelines, is the proper model for operational coordination, especially because the decision-making power lies within the national TSOs, which are entities that bear that responsibility for secure operation of electricity system. If established, the core activity of ROCs would be analysis of transmission congestions and loop flows within Member States (internal congestions), observed regions and especially interconnections between regions, in order to provide liquidity on the national, regional and pan-European integrated market. Therefore, in our opinion at this stage, the ROCs should only have a recommendation and coordination function, at least until the time when a large scale cross-border exchange of energy is feasible in every Member State. Low wholesale prices and possible power shortages create the need to introduce the capacity remuneration mechanisms (CRM) which constitute a temporary tool assuring the security of supply. Currently within the EU, there are capacity mechanisms functioning in 11 Member States. In line with the EEAG 2014-2020, capacity mechanisms are open for a broad spectrum of back-up technologies as well as cross-border capacities. Therefore, we admit that capacity mechanisms are developed in line with technological neutrality principle. Taking into account legitimate expectations and legal certainty, the already proposed regulatory framework should respect this basic principle. However, the EMR, which introduces emissions performance standard (EPS) equal to the 550 g CO2/kWh does not reflect the diversified challenges and national energy policies. First of all, the proposed EPS excludes from the future and existing (after the expiry of the 5-years transitional period) CRM a vast majority of conventional generation units. This means that CRMs would be addressed to specific gas-based generation units. Thus, the EPS is an instrument which does not reflect the aim to minimise the European import dependency and increases the overall cost of the CRM. Moreover, the proposal to establish EPS was neither the subject of cost-benefit analysis nor a part of the formal Impact Assessment. Therefore, the unexpected proposal to establish EPS is contrary to the principles set out by the Commission itself in the Better Regulation agenda. Therefore, we appeal for the removal of the EPS provisions included in the EMR proposal. Furthermore, we strongly support all provisions aiming to strengthen the role of demand-side response (DSR) in national capacity mechanisms. It has to be observed that presence of strong DSR mechanisms is potentially cheap way to ensure energy security. Moreover, use of DSR is climate friendly and may contribute to achievement of decarbonisation purposes. According to Art. 19 of EMR proposal, ENTSO-E is responsible for development of methodology according to which European Resource Adequacy Assessment (ERAA) will be conducted. Results of this analysis must be further approved by ACER. Due to the technical complexity and difficulty of this process we assume it to be premature. Furthermore, we highlight that at the current stage, ERAA should not replace regional and national adequacy assessment, retaining only supportive role. The ERAA should only complement national analyses. Approving of ERAA by ACER transfers the decision powers to supranational entities, while responsibility of guaranteeing security of supply is a sole responsibility of individual member state. CEEP stresses the importance of engagement of Member States in this process as it should reflect different national conditions and circumstances. Furthermore, within ERAA should be incorporated results of regional and national assessments in order to reflect national differences. Therefore, we call for further changes to the EMR proposal to establish ERAA which could be a useful tool to minimize the regional blackout risk, but definitely should not be a precondition to establish national capacity market. We must state with regret that the proposal does not address in a holistic way one of the main challenges for the electricity sector of Central Europe: the unscheduled flows of electricity from neighbouring countries. Those occurrences significantly harm the transmission systems in the region and seriously limit cross-border trading capacities, with increased risks of interconnectors overloading, but also represent a major threat to stability of power grids. Currently the problem of loop flows practically excludes the possibility of energy imports in some of Central European countries where interconnectors’ capacities are significantly limited. CEEP highlights that problems of loop flows should be one of de decisive factors in the process of bidding zones redesign foreseen by EMR thus CEEP recommends the EU institutions to raise this problem during the legislative process and find appropriate solutions. Particularly, the provision of EMR covering the topic of redispatching caused mainly by loop flows, foresees compensations for thermal power plants. Nevertheless, redispatching is very often provided by hydro power plants which have scarce reservoir capacities. Therefore, we suggest a rearrangement of such a provision which will incorporate water value and possible consequences of such occurrence. Anticipating development of storage facilities and their increasing economic viability, CEEP questions the limitation of DSOs to operate storage facilities integrated into distribution network. We assume that storage can be an important flexibility measure helping to balance grids and decrease operational costs. We advocate a less prescriptive approach to smart meters installation obligation. We assume that these provisions, in the current form do not reflect varying results of the cost benefit analysis in different Member States and as such are doubtful. On the other hand, minimal data set expected from smart meters within EU, or at least sufficient regions, should be standardized in order to provide reliable guidelines for the implementation projects and a reference for every market participant. We support a view that both grid operation rules and methods of distribution tariffs’ assessment should retain a prerogative of National Regulatory Authorities. This approach, in conformity with subsidiary principle, allows for accommodation of variegated conditions they operate in and costs related to it. The renewable sources of energy are expanding well across Central Europe. Six CE countries have already achieved the target of the share of renewables in their national energy mix. Having achieved a share of 16.7% of gross final consumption of energy in 2015, the EU as a whole is well on track to reach its 20% target by 2020. The further development of renewables must be properly addressed by future legislation. CEEP considers that the RED and EMR proposals are going in the right direction. We support the removal of priority dispatch, as well as other subsidies which give an unfair competitive advantage over other energy producers. The assessment of the effectiveness of the support schemes should be rigorous and market based in order to avoid granting excessive state aid. We regard risk related to “capital costs” as one of the biggest challenges for expansion of RES and we call for measures introducing more certainty and predictability for investors. However, the obligation to open support schemes to RES for cross-border capacities should be thoroughly analysed and take into account the capacity of transmission system as well as the current stage of development of RES on domestic markets. It should be acknowledged that subsidy schemes differs among the countries which could create unfair competition. We strongly oppose the proposed system of financial penalties for diverging from national minimum targets trajectories. We conclude that such a system might turn out to be counterproductive and disincentive Member States from setting ambitious RES targets. RED II proposal introduces EU-wide 2030 RES target at 27% which is in line with the European Council conclusions, and which we consider to be feasible. However, we question a method how to reach the overall common goal requires – mainly introduced under the proposed EU Governance Regulation – obligation to submit the national trajectories of the RES development to the Commission. The compliance with the national trajectories would be ensured i.e. by the obligatory contributions to the financing platform. Thus, national targets would be imposed through “back-door” measures. Moreover, the above-mentioned financing platform will be managed from the central level and would not necessarily support investments in the contributing Member State. It means that the financing platform will not address the problem of the RES underdevelopment in certain areas, but it will be financed by the funds collected from the underperforming Member States. Therefore, we cannot accept the financing platform provisions, which are not adequate measures to support achieving the EU-wide 2030 RES target. Furthermore, there might be a possibility of negative correction of current statistical calculation of RES percentage in countries with a high share of RES, and it could create additional gap between the actual and determined national targets for RES, despite all efforts put in to achieve the expected progress. CEEP supports the provisions facilitating self-consumers to feed into the grid and be an active participant of the energy system. Thus, we expect that in the post-2020 framework the balancing responsibilities will be placed on the self-consumers. CEEP welcomes introduction of the principle that all market participants should be financially responsible for imbalances they cause in the system. Due to increased significance of interconnectors, possible derogations from this rule should be significantly limited. The growing role of self-consumers and the regulatory framework proposed for the renewable energy communities could mitigate the challenges connected with RES development. Furthermore, we welcome the confirmation of the market-based remuneration for self-consumers. To guarantee a level-playing field, we appeal for the complete removal of the priority dispatch for all energy sources. One of the possibilities to decrease CO2 emissions is the proper utilisation of the locally originated biomass. It should be recognized also that biomass is an inevitable RES development choice for countries without favourable conditions for development of other RES technologies. Therefore, we cannot agree to the EMR proposal which assumes exclusion of biomass share as one of the sources contributing towards achieving the RES targets unless it is used in high-efficiency cogeneration, exclusively in units with installed capacity equal to or greater than 20 MW. Considering relatively large investments in biomass already commenced in numerous Member States dictated by the EU climate policy (also supported with the EU funds) enactment of the proposed provisions would lead to changing the rules mid-game. Both the biomass producers and the entities using it in their business operations will not be able to adapt to the proposed changes in such a short time. Therefore, adoption of the proposed provisions will hurt the predictability of the entire biomass support chain for the investors. CEEP is ready to take part in any further discussions concerning the Clean Energy for All Europeans package and would like to ask the decision-making institutions to accept the above-mentioned proposals. We believe that only through taking into consideration all of the stakeholders, including those from Central Europe, the electricity markets in Europe will be well functioning and balanced.